First click “Forge” found at the bottom right of the screen. That opens the Upgrade window. 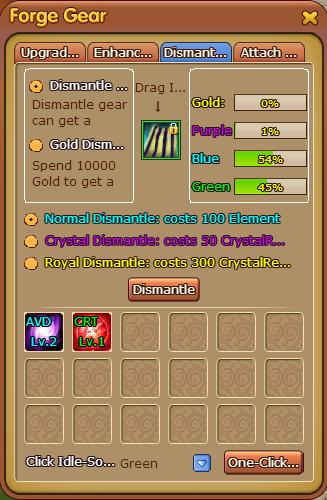 Click the “Dismantle” tab. Drag an item that is no longer wanted into the open slot, select what type of dismantle you want to do and then hit the button. This will remove the item from your bag and place a “soul” into your soul storage. 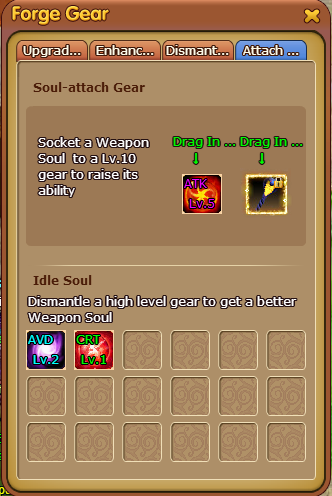 As far as i am aware, please correct me if im wrong, but the soul u gain is random, the chances of quality increase depending on which dismantle type you choose. Next click the “Attach” tab. Place the item you want to attach the soul to into the empty slot, then drag the soul you want to attach into the other slot. *Note* Only items upgraded to lvl 10+ can have a soul attached to them. 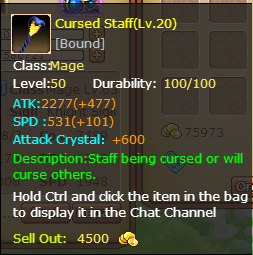 In the image i can attach an attack or speed soul to the staff, i would not be able to attach a crit soul to it. To level up an attachment soul, drag one over the other to blend them together.